The workforce – including the federal workforce – is increasingly turning toward mobile. Without a doubt, a well-considered approach to mobile has the potential to deliver huge benefits for organizations of all kinds, helping employees to become more flexible, productive and satisfied in their work lives. Federal agencies are now pursuing all of these advantages, with a significant degree of success. At the same time, though, the rapid expansion of mobile throughout the U.S. government has created a number of serious challenges – most notably, the need to develop new, mobile-specific cybersecurity strategies. "As far back as 20 years ago, federal employees began to use PalmPilots." As Fed Tech Magazine contributor Randy Siegel recently pointed out, the use of mobile technology is not exactly a new development for the federal government. He pointed out that as far back as 20 years ago, employees began to use PalmPilots, and they have been eagerly awaiting more advanced technology in the time since. Now, with the advent of smartphones and tablets, as well as mobile app development, that reality has finally arrived. "Given the types of mission-supporting apps that agencies are now using, 2015 may be the watershed year that many users within the federal mobile ecosystem have long awaited," Siegel wrote. Federal Times recently highlighted this trend in action. The source pointed out that DigitalGov, a team within the General Services Administration, has created a mobile testing program to encourage federal employees to try out new apps. Through this process, apps which may benefit different departments are tested for potential bugs and receive feedback which can make them more effective. Already, employees from FEMA and the USDA have taken advantage of this program, with positive results. However, for all of these benefits, it's imperative to note that the huge upswell in mobile solutions has created major cybersecurity challenges for federal IT personnel. 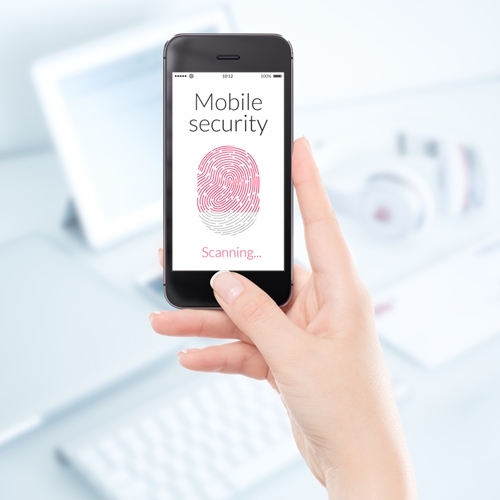 "80% of respondents considered mobile devices a security threat." A recent SolarWinds and Market Connections survey of 200 federal IT decision-makers emphasized the extent of this issue. The report found that 80 percent of respondents believed that mobile devices represented a security threat to their agencies, making this one of the leading IT concerns overall. Only one-fourth of respondents said they were very confident that they could protect their firms' data, thanks to the security risks associated with mobile device use. Writing for Nextgov, industry expert Chris Edwards addressed this issue, emphasizing the need for the federal government to embrace advanced technologies to keep mobile devices safe. For example, he noted that secure key stores have proven fairly successful so far in this capacity, as they hold unique, tamper-proof cryptographic keys for each device. "Using a secure keystore to protect sensitive data has the potential to turn what has been previously seen as a security vulnerability – the device itself – into an agency's first line of defense for data protection," Edwards wrote. Such advanced tools must also be paired with best practices, such as rigorous authentication, the writer asserted. Edwards claimed that authentication has the potential to deliver top-quality security benefits without compromising any of the benefits that mobile adoption has to offer – namely, user flexibility and productivity. In order for federal agencies to successfully implement these effective mobile strategies, though, many departments will need to look to third-party consulting services providers for guidance and support. As recent government data breaches have shown, many agencies simply do not have the necessary in-house resources to develop and maintain their own cybersecurity strategies. By partnering with a third-party firm that can deliver in terms of both mobile software development and cybersecurity, agencies will be able to empower their workers without risking their digital assets.